No matter in which way we watch a movie or a film, the video quality is the most important thing that cared by us. We cannot bear enjoying movies with a so poor quality that we are even prevented from recognizing what the actors are doing. It would become worse when we are going to rip Blu-ray movie to Thrive on Mac. General speaking, Blu-ray movies come with HD video quality and 5.1 channel audio. With these perfect audio and video effects, we can freely enjoy true HD movie experience at home with home theatre devices. However, not all of us have enough time sitting in front of the screen and watching movies. So, many people prefer enjoying Thrive Blu-ray movie which means we can change Blu-ray for playing on Thrive. You must be interested in how we can manage to get Thrive play Blu-ray movies. The way to play Blu-ray movies with Thrive is simple, just Mac rip Blu-ray for Thrive playing with a useful Mac Blu-ray to Thrive ripper. As to choose Thrive compatible format, here I recommend MPEG-4 HD Video (*.mp4) format. And Pavtube Blu-ray Ripper for Mac is the best Blu-ray to HD MP4 ripper on Mac which allows you rip Mac Blu-ray to HD MP4 format for Toshiba Thrive playing. Step 1. Run the Mac Blu-ray to Thrive Converter and import the movies. Choose to click the three buttons to load your Blu-ray movies. When all the movie clips are loaded to file list, check the main movie and leave the unwanted files unchecked. Step 2. Set output format for ripping Blu-ray movies on Mac. 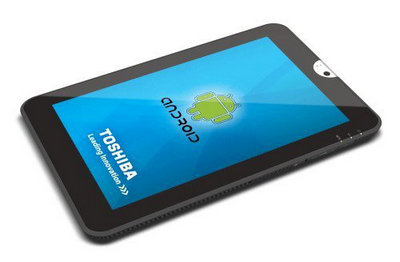 To play videos on Toshiba Thrive, you need to set HD MP4 as the output format. 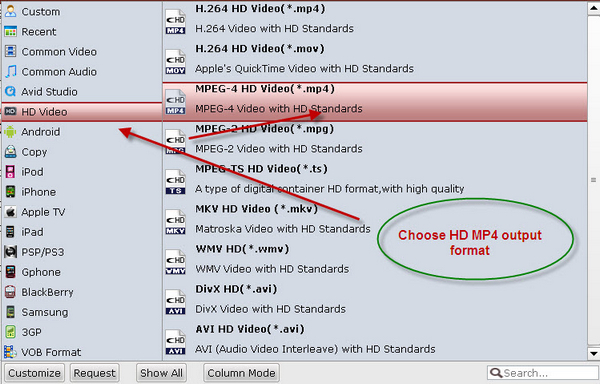 You can click on the format bar to choose HD Video >> MPEG-4 HD Video (*.mp4). Step 3. Start to rip Blu-ray movie to HD MP4 video for Toshiba Thrive. 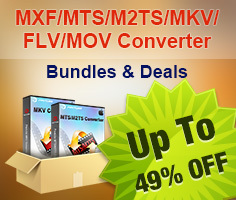 Now click "Convert" button to start ripping Blu-ray movies to Thrive compatible MP4 video. When the conversion is finished, click “Open” button to get the final output files for your Thrive.